We offer the largest selection of products including a valve for every type of material and a wide range of economic industrial robots suitable for automating a bench assembly operation or for integration in a larger in-line process. 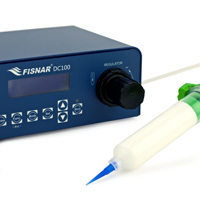 Fisnar is a manufacturing company dedicated to providing all industries with a cost-effective solution for the needs to dispense liquids and paste in a controlled manner. 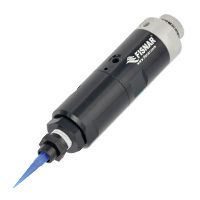 Introducing the new Fisnar catalog! 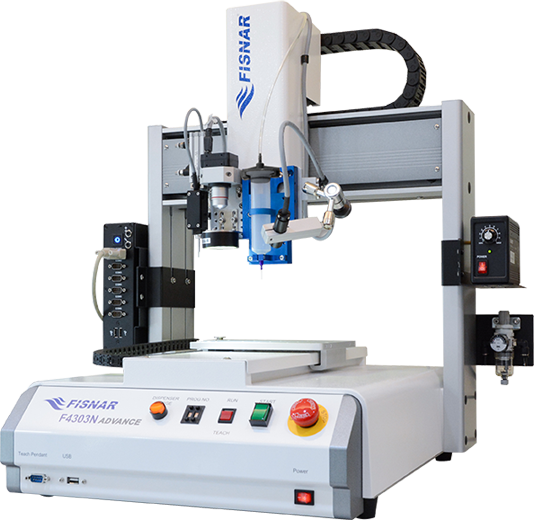 Learn more about Fisnar engineered dispensing solutions including dispensing consumables, liquid dispensers, dispensing valves, robotics, reservoirs, and pumps. Looking for an automated solution? 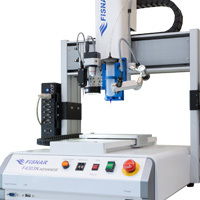 See what a Fisnar robot can do for your application with a free video trial! You’ll get a first-hand look at the process to ensure everything works to your expectations. Just send us a sample of your part and material and our lab will record the trial, demonstrate the robot in action, provide the process data, and send you the video with completed parts. Contact us to request your free video trial! 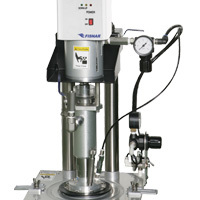 Fluid Research is a manufacturer of metering, mixing, and dispensing systems for industrial resins and liquids. 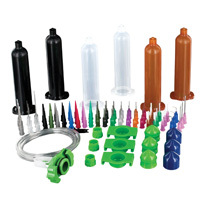 Products range from table top to fully automated machines for large volume production.